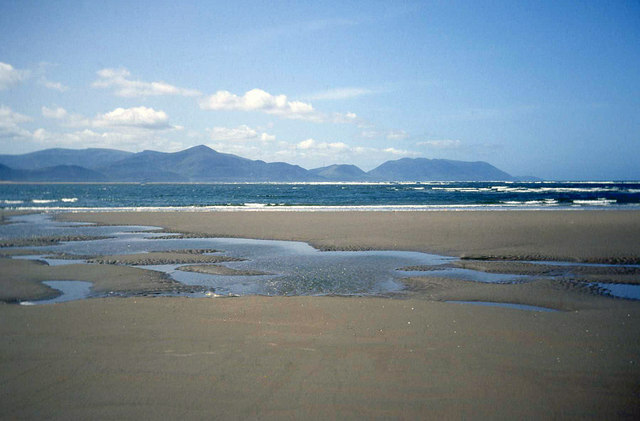 John Boorman’s fantasy based on King Arthur’s rise to power was filmed entirely in Derrynane, County Kerry. Boorman’s otherworldly interpretation tells the story of the magical sword Excalibur from when it is first embedded in a rock by the evil Uther Pendragon (Gabriel Byrne). Other major stars include Liam Neeson, Patrick Stewart, and Helen Mirren. Director of photography Alex Thomson even got an Oscar nomination. Be patient with the appalling Irish accents: This is a great, feel-good romance about Irish peasants forced to emigrate to the United States in the 19th century. Tom Cruise, Nicole Kidman, and director Ron Howard scattered Hollywood gold dust in Dingle once again when they arrived to recreate a Famine-era village in Dunquin, on the Dingle peninsula. Ken Loach’s drama deals with the turbulent 1920s in Ireland when ordinary men were drawn into the War of Independence after the notorious Black & Tans were sent from England to quell the struggle. Cillian Murphy stars in this gritty story of two brothers’ roles in the conflict, which was shot in Cork and Kerry, with the train station scenes shot in Killarney station. The most famous Irish scene from Harry Potter was shot at the dramatic Cliffs of Moher in Co Clare, but scenes from Harry Potter & the Half-Blood Prince were also filmed in Kerry. Not many people know this, but after the scene at the cliffs, Daniel Radcliffe’s Harry and Michael Gambon’s Dumbledore appear on the famous Lemon Rock in Kerry. 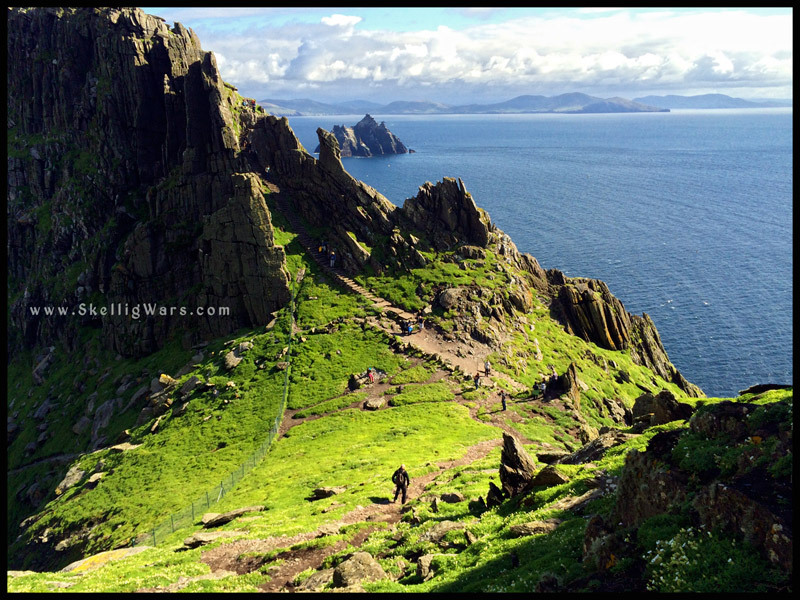 Interestingly, Lemon Rock is situated near Little Skellig (above) and Skellig Michael, home to the famous Jedi monastery of J.J. Abrams’s Star Wars: The Force Awakens. 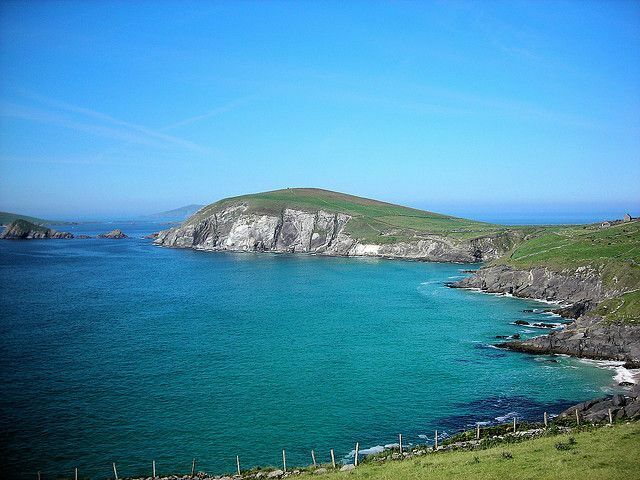 What’s your favourite movie shot in Kerry? We’d love to hear from you! I’ve just come across this article and I feel compelled to add to your store of knowledge or, at least, put you straight on something. 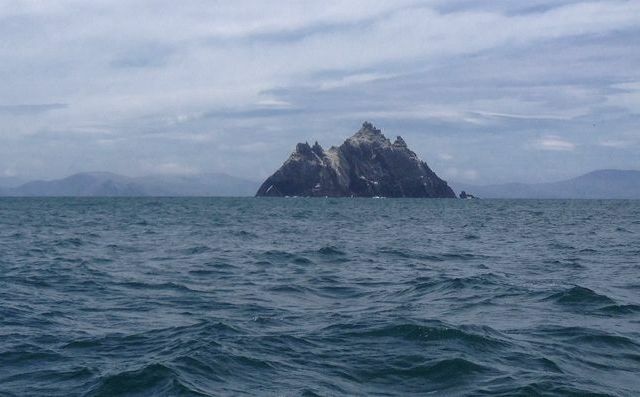 The German film maker, Werner Herzog made a film called Herz aus Klaus (https://www.youtube.com/watch?v=DE5IEVhp2F8) or Heart of Glass in 1976 and the closing scenes were shot on Skellig Michael in scenes oddly reminiscent of Abrams’ closing scenes in Star Wars, The Force Awakens.